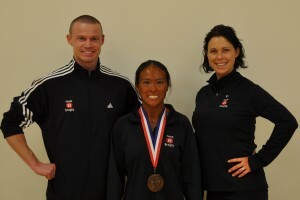 THE 2012 NGA UTAH AND NGA MOUNTAIN STATES AKA “THE SHOW” WERE A BIG SUCCESS! 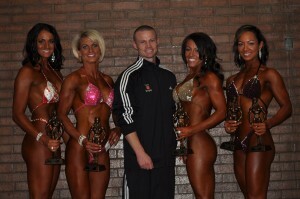 Karen Hardy won her class and the overall! Check out Karen's transformation in the results section! 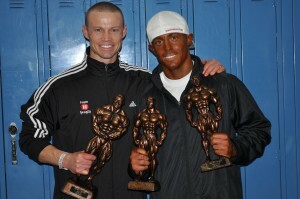 Danny Martinez made a life changing transformation and competed in his first bodybuilding show! Jason took home his fourth 1st plsce trophy of the year! Ashley wins her class in her first show! 1st and 2nd place finishers! JoAnn with her two trophies! 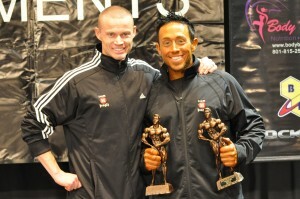 THE 2012 MARCH NPC UTAH SHOW WAS ANOTHER GREAT SUCCESS! 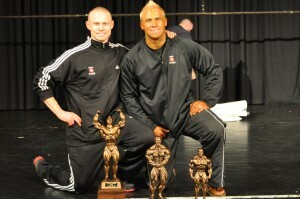 WE BROUGHT 19 COMPETITORS TO THE SHOW AND CAME AWAY WITH 33 TROPHIES TOTAL! 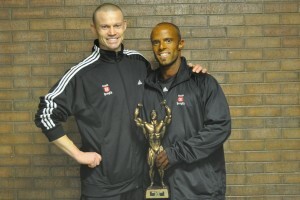 INCLUDING 5 1ST PLACE FINISHES AND THE NOVICE MEN’S BODYBUILDING OVERALL WINNER PAUL GIBBONS AND THE OPEN MEN’S OVERALL! 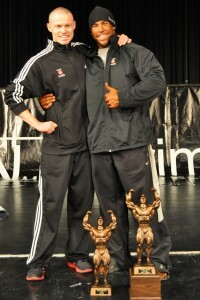 Heavyweight and overall winner Chris Presley! 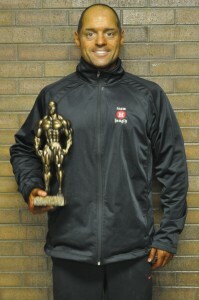 Novice heavyweight and overall winner Paul Gibbons! 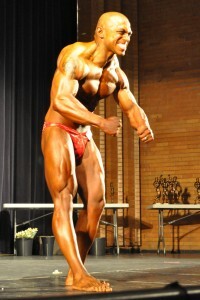 Phil Smeath won his class for the second time in only his second show! 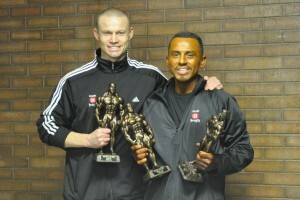 Phil Smeath won his class with conditioning that was second to none! A great day for our Team Heugly figure girls! In only his first show Milo Lebaron walked away with 2 top 3 trophies! Lindsey and Dean both placing in their first show! Sal Mendoza's first show was a success! 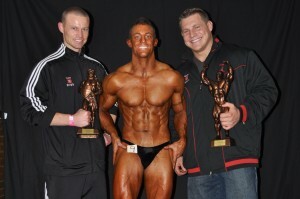 TANNIN WATSON WON THE NOVICE CLASS A AND THE NOVICE OVERALL! 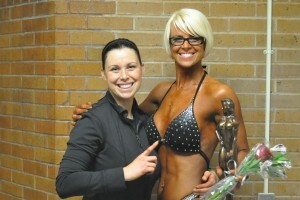 CHECK OUT TANNIN’S SEVEN WEEK BEFORE/AFTER PICTURES IN THE WOMENS RESULTS 2 SECTION! 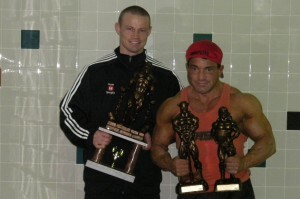 EDGAR FRANCO IN HIS FIRST BODYBUILDING SHOW WON THE NOVICE LIGHTWEIGHTS AND TOOK 3rd IN THE OPEN MIDDLEWEIGHTS AND 4th THE JR. MASTERS! 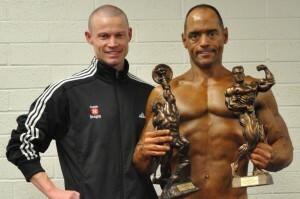 TELMO TOOK HOME A 5TH PLACE TROPHY WHILE WORKING WITH US FOR ONLY 7 WEEKS! 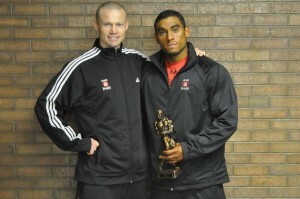 TELMO HAS A BRIGHT FUTURE IN FRONT OF HIM! 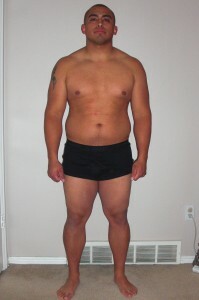 BE SURE TO CHECK OUT HIS SEVEN WEEK BEFORE/AFTERS IN THE MEN’S RESULTS 2 SECTION! 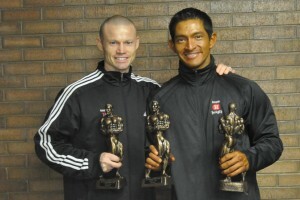 JASON WON THE NATURAL MIDDLEWEIGHTS AND TOOK 3RD IN THE NATURAL MASTERS! 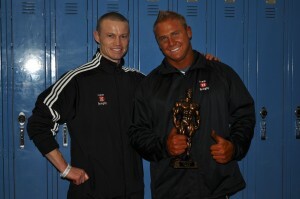 Congratulations to all of the competitors at the 2011 NPC UTAH MET-RX CLASSIC AND TWINLAB NATURAL! All 9 of our competitors placed top 5! 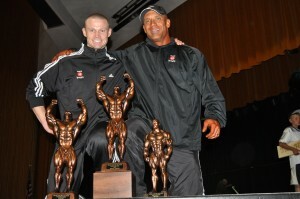 Lilly Cardon won the Women’s Bodybuilding Overall and Max Curry won the Men’s Bodybuilding Overall! 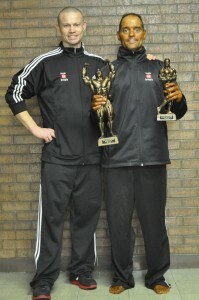 Masters, lightheavey weight, and overall champion Max Curry! Kendi, Jess, Alynn, and Lani all top 5! Zach took home 2 more trophies for his collection! 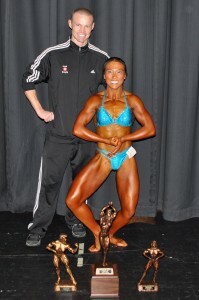 Lilly Cardon won the Womens Natural, Open, and Overall Bodybuilding! Gretel took 3rd place in the bikini medium class! 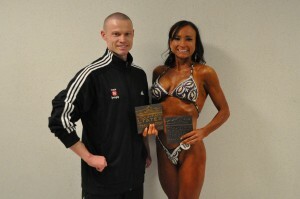 Shawna took 1st in the bikini masters and 2nd in the bikini short! Martha brough conditioning that was second to none! Kimberly's second show! And she looked fantastic! Lisa's 3rd show of 2011. She brough home her 5th and 6th trophies of the year! Doug's first show! Two top 5 places! Lilly's first show! She placed top 5 in a fierce lineup! Lani won the figure short class and Overall for the scond show in a row! Two shows, two first places, 2 Overalls! It was only her second figure competition! Way to go Lani! A GREAT DAY FOR TEAM HEUGLY! APRIL 9TH WAS A GREAT DAY FOR TEAM HEUGLY! WE HAD 9 COMPETITORS COMPETING IN 2 DIFFERENT SHOWS AND THE OUTCOME WAS FANTASTIC! IN TOTAL WE BROUGHT HOME 13 TROPHIES! Jess and Joe took 1st and 3rd place! Lani won the figure medium and the overall! 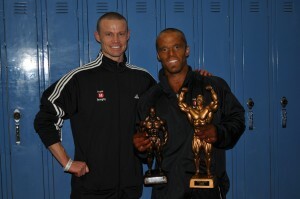 Mark won the Novice Lightweights and the Novice Overall! 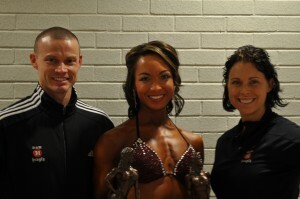 Ashley defended her title by winning 1st place in the Figure Short class for the 2nd year in a row! 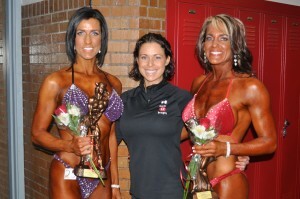 Lisa and Kimberly took home 1st and 2nd in the Figure Masters! 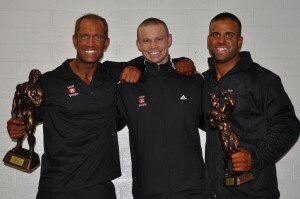 At the NPC Big Sky Championships John took 2nd in the middleweights, 1st in the Masters over 40, and won the Masters Overall!